Oklahoma Connection | Evans came to Ardmore, Oklahoma, as the superintendent of schools in 1905. 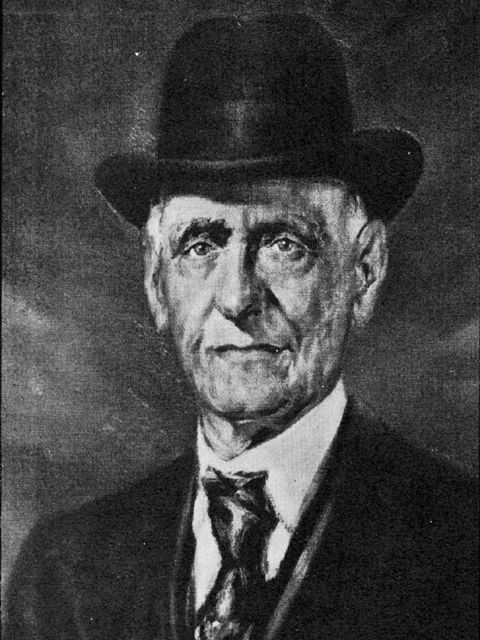 Charles Evans was one of the founders of the Oklahoma Education Association (OEA) and became its first president. His 1908 book on Oklahoma’s government and history was adopted for all state public schools upon its release and the University of Oklahoma named its historic Evans Hall after him while The Charles Evans School was dedicated in Ardmore in December of 1953. Noted educator and author Dr. Charles Evans was born in Kentucky and was a school superintendent (1895-1905) there before coming to Ardmore, Oklahoma and served in the same role there (1905-1911). He became president of Central State Normal College (now the University of Central Oklahoma) in Edmond in 1911 and became president of Kendall College (now the University of Tulsa) in Tulsa in 1916. He was also president of Oklahoma’s Board of Education (1923-1924) and was a professor of business and commerce at Westminster College in Missouri before becoming the longtime director of education extension at Oklahoma A&M College (now Oklahoma State University) in Stillwater. He was the author of such notable works as Civil Government in Oklahoma (1908), Growing a Life (1912), and Lights on Oklahoma History (1920). He also edited the Chronicles of Oklahoma from 1944 to 1954.